Not just smiley face on the cheek kind of art !! Fun at the NC Fair! AMAZING Face Painting, Magic with a real Bunny, and Balloon Twisting with Character Entertainers and Inflatable Jump Castles and Slides for the MOST AMAZING Event or Party! My brother-in-law hired Mimi for my niece's birthday party. The kids had a WONDERFUL time... I would recommend her on her face painting abilities alone. How she made such awesome works of art SO FAST is amazing. The kids refused to wash it off for two days so they could wear it to school. Lol! Great lady. Great personality. Funny, nice & was great with the kids. THANKS MIMI! Aww!! *blushing* Thank you so much for your encouraging words and thank your brother-in-law for me. AND thank you for such a nice surprise review and for taking the time to do it! 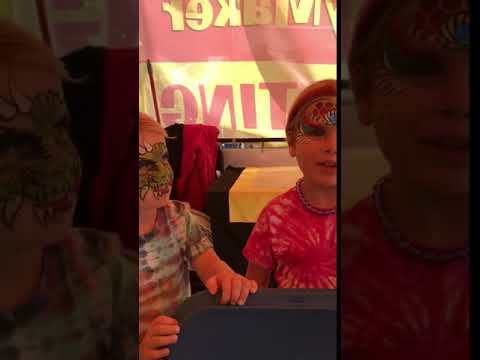 She had a face painting booth set up at the Got to be NC Festival. Her work is detailed and gorgeous! She did a marvelous job keeping the children happy and entertained while waiting in line, and holding still for the painting. It was towards the end of the day when we were there, and she was still clearly enjoying working with the kids. We are foster parents who happened to have two teens with us on the day of the event. I asked our 12 yr old girl if she wanted her face painted by Mimi, she was very impressed with the designs and said yes. I didn't want to ask the 14 year old boy, because boys that age are too cool to get their face painted; but he jumped on the line and said, "she's dope". You don't get any bigger compliment than that! WHAT?? AWWWW!!! Wow! LOL!! That's makes my day!! She was awsum with kids. 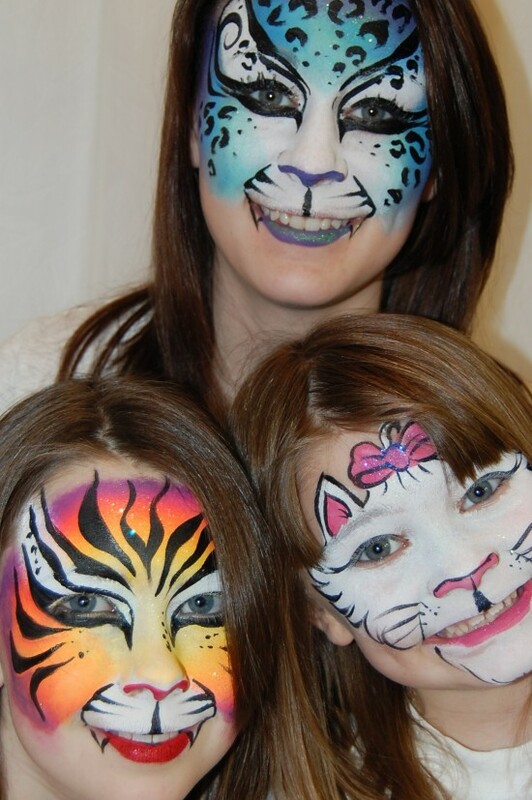 She kept them so entertained and not to forget the art of face painting that she did. Overall very good experience. Awwww! Well thank YOU so much for inviting me! Your little daughter is a princess!! I loved her!! 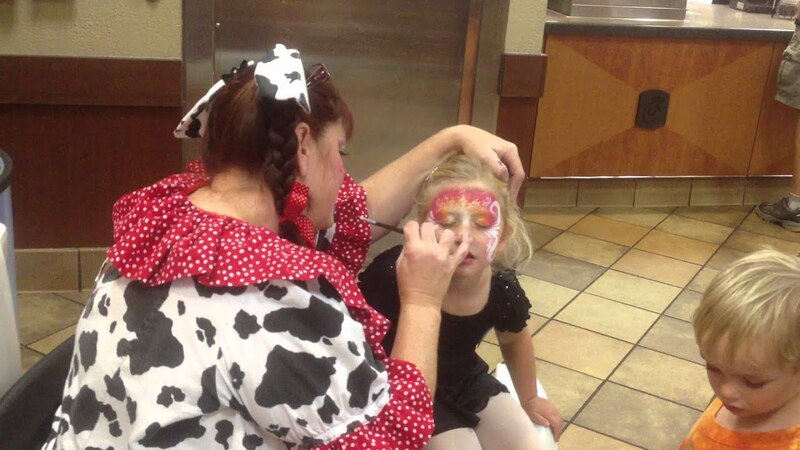 The kids and parents alike enjoyed the beautiful face painting by Mimi the Clown and the incredible balloon twisting art! Also, Mimi's bunny was on hand to be petted and held by the kiddos. Mimi had some fun music that several of the boys and girls liked to dance to while waiting to get their faces transformed into something magical. Mostly, Mimi has such a sweet, happy face that lights up when she talks with the children. We hope to see you again soon! Thank you, Mimi the Clown, from your friends at AutoPark Honda of Cary! Wow! What a wonderful surprise! Thank you so much for having us and for taking the time to write a review! Hope we can bring the smiles another day as well! MeMe was AWESOME. She kept the kids entertained for 2+ hours. Her face painting was exceptional and unbelievable. We hired her for our twins 1 yr old party and because she kept the kids entertained the parents could enjoy themselves. Melody Scruggs aka Mimi the clown is the owner/operator of The MelodyMaker Family Entertainment which she opened in 2004. 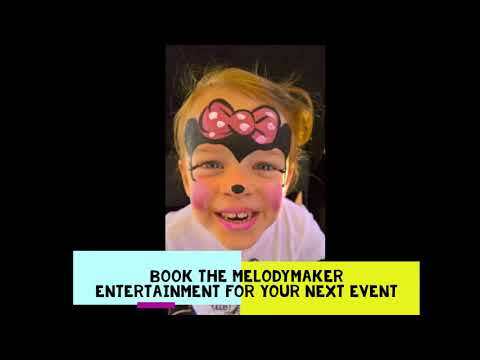 The MelodyMaker offers magic with Hunny Bunny, balloon art, amazing face painting, giant inflatables, princesses, super heroes, and holiday characters.